American journalist Barrett Brown, who is serving over five years in prison for his links to the hacktivist collective Anonymous, had his email suspended for a year after he contacted a journalist about potential wrongdoing by the Bureau of Prisons. Brown found out about the restriction an hour after contacting the journalist and was told his access was restricted for a full year until April 2016, without explanation. Brown had also been in contact with Glenn Greenwald from The Intercept about the possibility of writing for the publication before his email account was restricted. Brown is investigating filing a grievance. While speaking to a supervisor on April 3, Brown was told he lost his e-mail privileges because he was “using it for the wrong thing”. According to its own policy, the Bureau of Prisons allows inmates access to the TRULINCS prisoner e-mail system with certain restrictions. Brown has not been able to use his email account since March and those he corresponds with have received an automated message informing them his account has been rescinded. 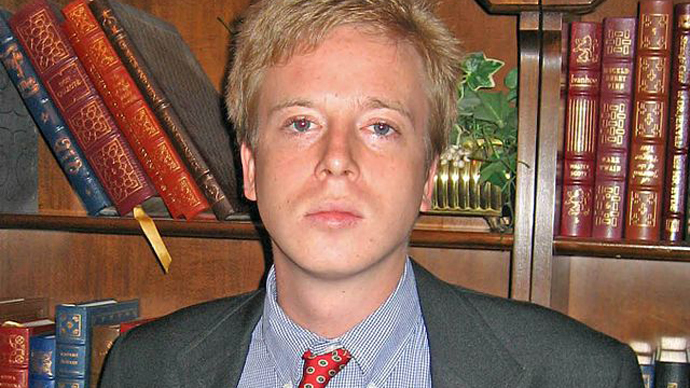 A Barrett Brown support group released a statement protesting his email restriction and asserting that the behavior of the Bureau of Prisons might be seen as retaliation against the inmate “by agencies of the federal government, for his journalism among other activities; the selective and retaliatory nature of his detainment having been made crystal clear by the prosecutory zeal and unconventional methods employed by the DOJ in his case and at sentencing." The support group also reviewed the BOP's policy for an inmate using the prison system. “This is contrary to the BOP’s own policy on several points, as noted in their 2009 documentation – the administration is only allowed to remove access to TRULINCS for thirty days pending an investigation of any potential misuse, and the inmate is supposed to be informed in writing of the reason for that,” the statement read. According to his support group, Brown still has telephone privileges. Brown was sentenced to 63 months in federal prison in January 2015 for his links to the hacktivist collective Anonymous. He was ordered to pay nearly $900,000 in fines and restitution. Brown had already served more than two years in prison while the case went to trial. Originally the charges involved fraud for sharing a link to a compilation of stolen credit card information from intelligence contractor Stratfor, but they were dropped when he accepted a plea deal in April 2014. He had been facing a possible sentence of eight and a half years.